Home > Questions > I have anti wrinkle injections and fillers, would laser treatment affect it somehow? Over my years of injecting, personally, I have seen dermal fillers ‘break down’ more quickly with lasers to the face (anything that causes heat under the skin). I usually suggest to my patients to treat their skin first with the lasers and then do dermal fillers after their course of skin treatments. I have attended many conferences where this same thing has been mentioned by doctors and plastic surgeons. If if you are going to have a skin treatment after cosmetic injections, remember to always wait 2 weeks after injection. 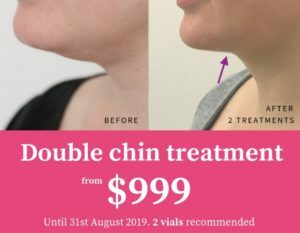 This allows enough time for the filler and anti-wrinkle injections to settle, without the potential of product movement. If you’re having you injections after your skin treatments, I normally wait at least 1 week, or until the skin barrier isn’t compromised by redness or peeling.